Taking its inspiration from the glitz and glamour of classic Hollywood, the bridal and fine jewelry of Danhov are timeless pieces of fashion-forward elegance. 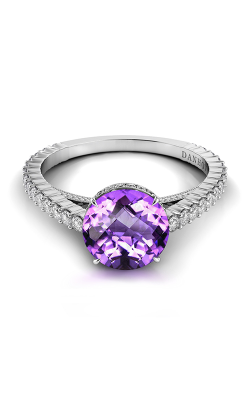 Unlike other designers, Danhov fine jewelry items are completely handcrafted, one-of-a-kind, and are made through innovative and completely “eco-friendly” methods. Available now at Medawar Jewelers, is a wonderful selection of diamond-covered engagement rings, men’s and women’s wedding bands, and an array of fine jewelry pieces that include earrings, necklaces, fashion rings, and much more. Find the perfect Danhov designer jewelry item for any occasion today in any of the five amazing Michigan locations of Medawar Jewelers! On display today in the Portage, West Lansing, Okemos, Jackson, and Brighton locations of Medawar Jewelers, is a glittering assortment of handcrafted bridal jewelry from Danhov. 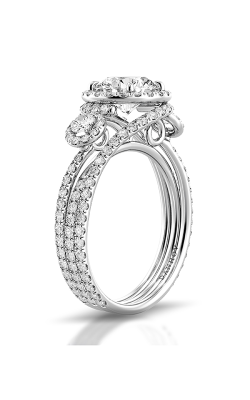 Known for their minimalist, Baroque-inspired designs, the engagement rings of Danhov’s Abbraccio, Couture, Solo Filo, and Classico collections are sure to please any bride. 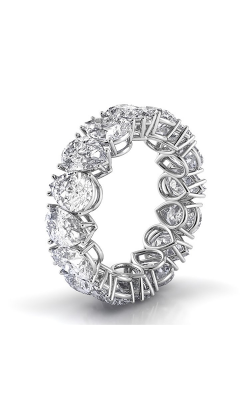 Additionally, the rings of the Danhov Voltaggio, Tubetto, Carezza, and Pelato lines feature unique and unforgettable detailing and tension style stone settings. For couples ready to tie the know, Medawar Jewelers also offers an amazing selection of Danhov men’s and women’s wedding bands, all of which are crafted with the same attention-to-detail as their engagement ring counterparts. Adored for their boldly-colored glamour, Medawar Jewelers is thrilled to extend a spectacular selection of Danhov diamond and gemstone fine jewelry pieces. Including stud earrings, pendant necklaces, and enchanting fashion rings, these jewel-covered pieces are the perfect complement to any ensemble, as well as make exquisite gifts for women of all ages. Featuring sparkling amethysts, pearls, and sparkling white diamonds, earrings, fashion rings, and necklaces of the Pop of Color, Trenta Limited Edition, and Abbraccio collections are vintage-inspired pieces of high-fashion artistry. Made with platinum and 18-karat gold metals, the fine jewelry of Danhov is enchanting, awe-inspiring, and available now at Medawar Jewelers.
. Why Shop with Medawar Jewelers? Founded in 1978, Medawar Jewelers is Michigan’s first choice for the very best in fine jewelry service and selection. With five locations in Jackson, Portage, West Lansing, Okemos, and Brighton, finding the perfect engagement ring, wedding band, GIA-certified loose diamond, Swiss-made timepieces, or fine jewelry item is made quick and easy at Medawar Jewelers. Dedicated to ensuring an eternity of satisfaction in every purchase, the knowledgeable staff of Medawar Jewelers is proud to offer in-house repairs, custom design services, and the Medawar Lifetime Promise guarantee which protects against manufacturer defects and issues.